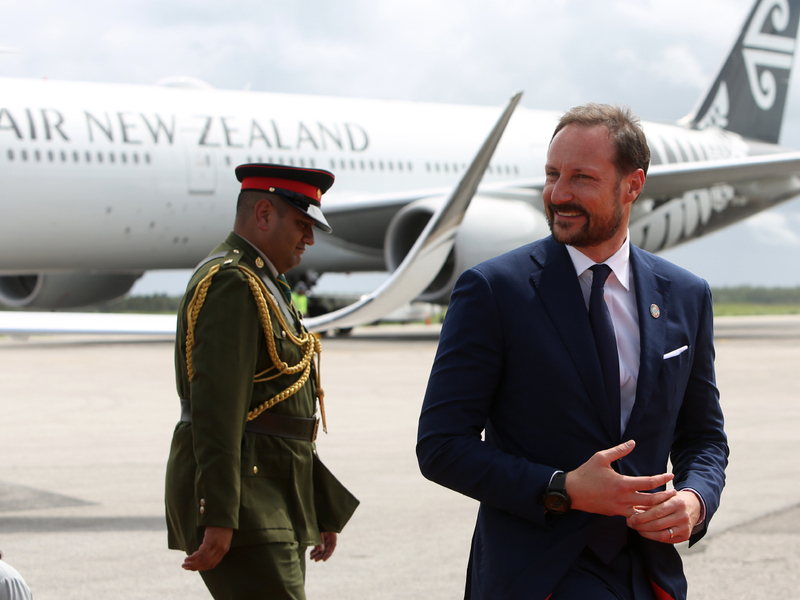 His Royal Highness The Crown Prince has begun an official visit to the three island nations of Tonga, Fiji and Samoa in the South Pacific Ocean. 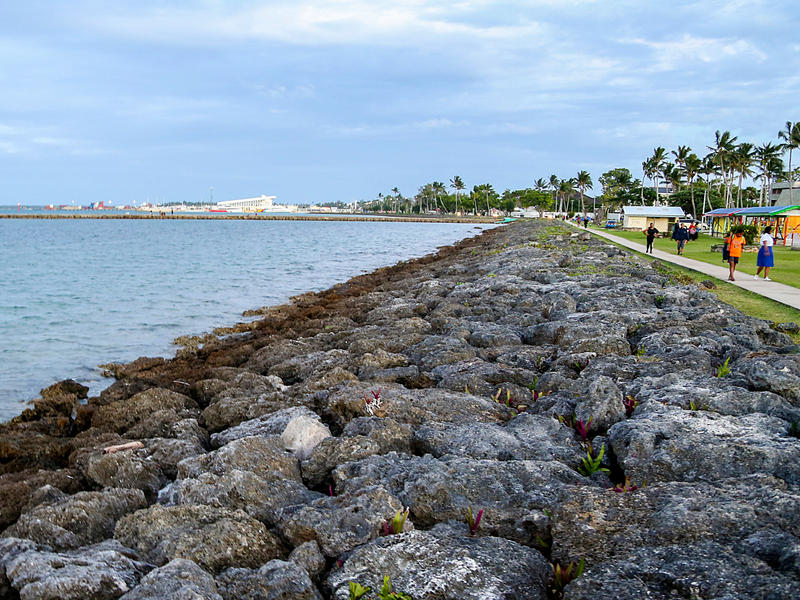 Today he arrived in the capital of Tonga, Nukuʻalofa. Tonga has just under 110 000 inhabitants and comprises 169 islands. Of these, 36 are inhabited, with most people living on the main island group of Tongatapu. 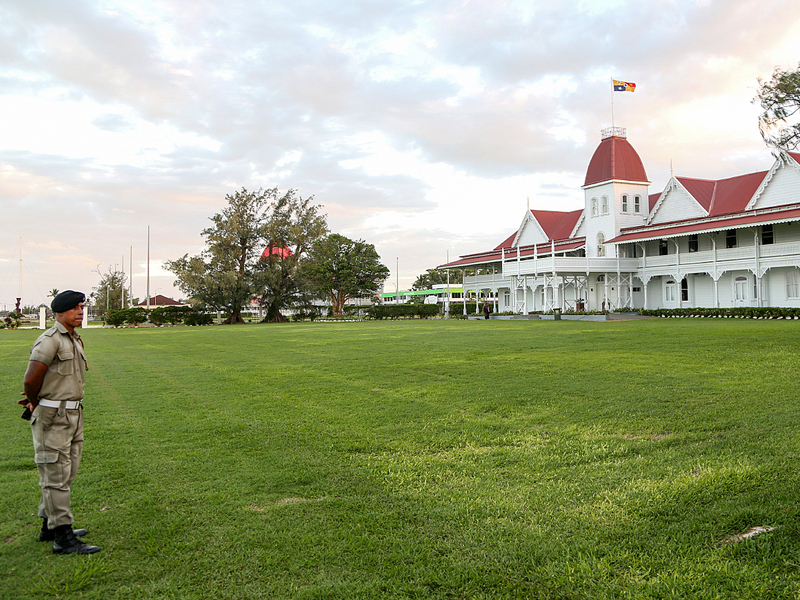 Tonga is the only kingdom in the Pacific and one of the world’s oldest monarchies. 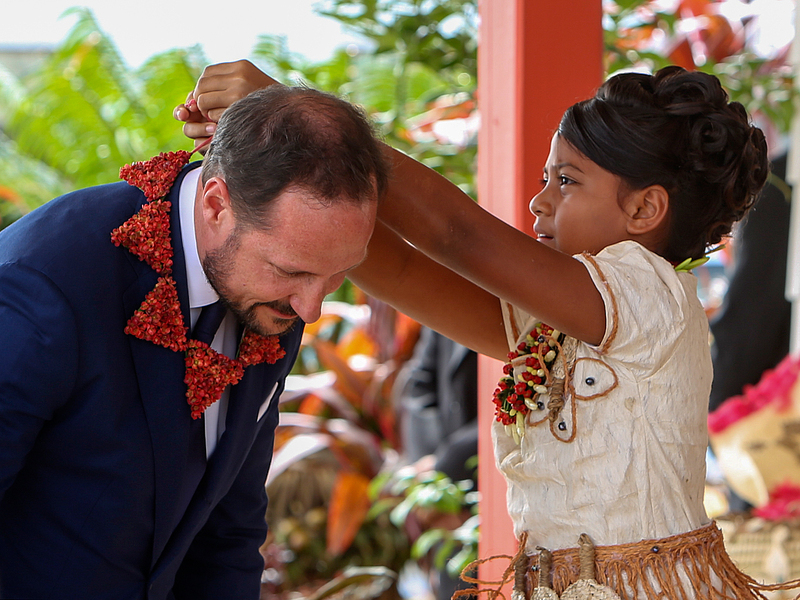 Crown Prince Haakon was welcomed to Tonga by His Majesty King Tupou VI at his residence in Nukuʻalofa. 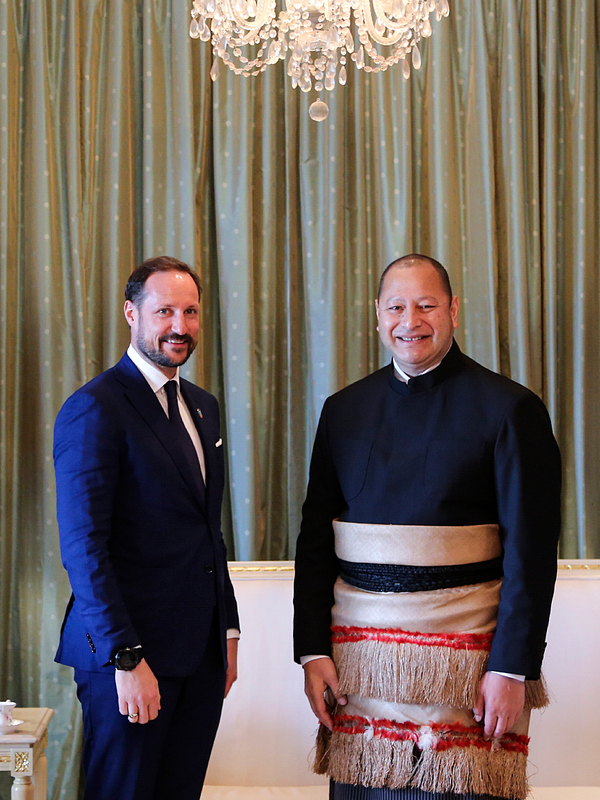 The Crown Prince met King Tupou for talks. 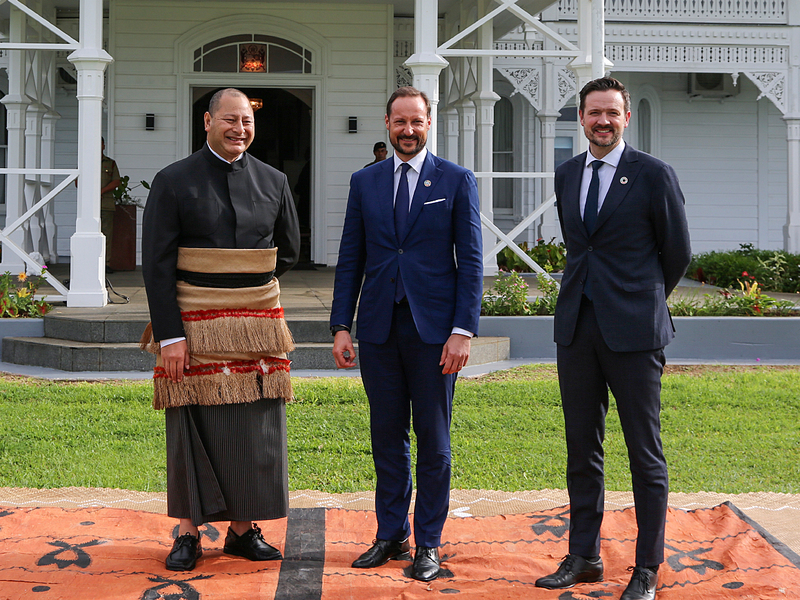 Norway and Tonga have a number of common interests and cooperate in several arenas to promote sustainable development, marine health and efforts to combat climate change. 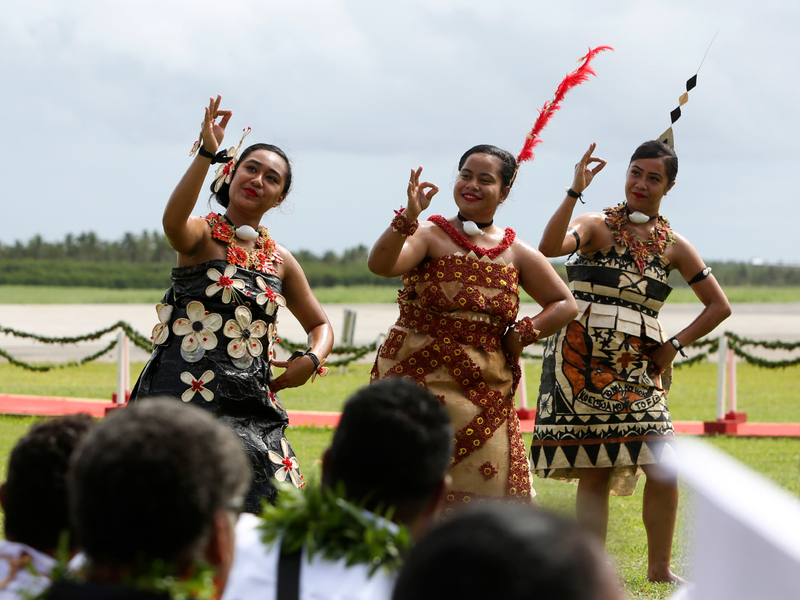 Tonga invests in renewable energy and aims to obtain 50 per cent of its electricity from renewable energy sources by 2020. Norway supports this initiative in part by contributing to the Green Climate Fund. The Fund is one of the most important instruments for achieving the goals set out in the Paris Agreement. Tonga is 11 hours ahead of Norway. In the evening – local time – Their Majesties King Tupou and Queen Nanasipauheld a dinner in honour of the visit at the Royal Palace. Tomorrow the Crown Prince will have a chance to see the impacts of climate change close up, and to meet some of those who confront these challenges on a daily basis.